If you’ve ever felt like you and your family are just swapping gift cards back and forth during the holidays, then maybe it’s time to mix it up bit. 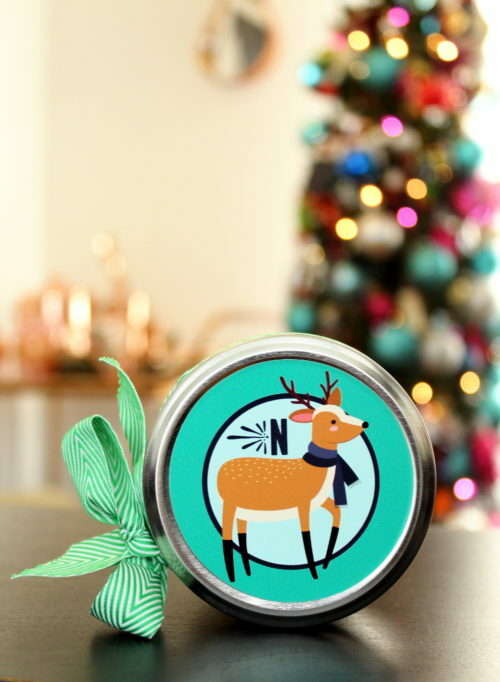 This collection of easy homemade holiday gifts are not only appreciated, but they are also easy to customize with personalized sticker labels from StickerYou! Not only will you not have to worry about fussing with gift wrap, but you’ll actually save money in the long run when making these easy homemade holiday gifts in bulk. StickerYou makes it so easy to create your own sticker labels! 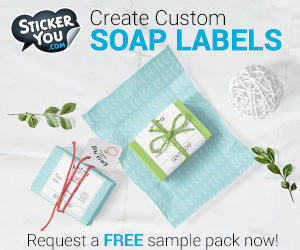 Whether you want all your labels to look the same or prefer a variety of stickers on each page, their sticker editor makes it easy to create your own custom designs. Simply choose from their collection of clipart, or upload your own, then add additional elements and text as desired! 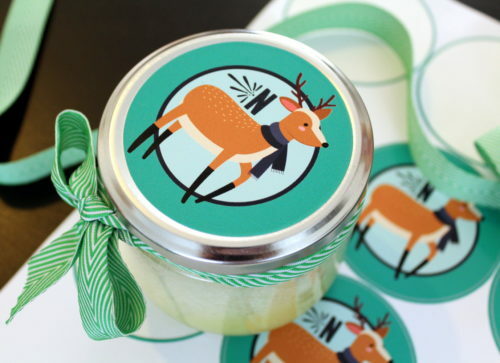 I used 2.75″ round labels for all of my easy homemade holiday gifts to illustrate the many great ways you can use a single label across different gift containers. This sticker size is perfect for everything foaming soap pumps to mason jars and is also well suited for a family monogram! Following you’ll find four great recipes for easy homemade holiday gifts. And, because I know not everyone owns a kitchen scale, I’ve shared both the measurement and the weight for each of the ingredients called for in these recipes. Measure or weigh out the salts and combine in a large glass bowl. Mix well to combine, then stir in the vegetable glycerin and lavender essential oil. Once the salts are evenly coated, stir in the dried flowers then package in a 16 oz. mason jar. 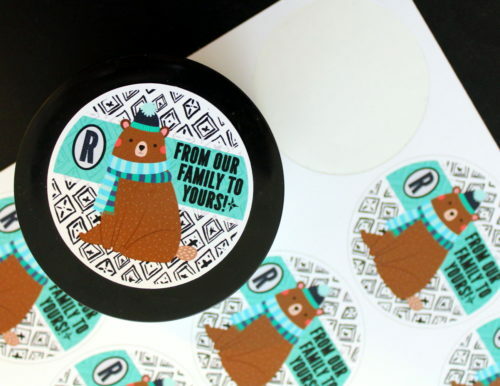 Now simply apply your custom 2.75″ sticker to the lid of the mason jar and it’s all set for gifting! Measure or weigh out the shea butter, cocoa butter and sweet almond oil. Combine in a double boiler and heat until melted. Now measure out the essential oils and stir into the liquid ingredients. Set aside. In a separate container, measure or weigh out the Dead Sea salt. Then pour the Dead Sea salt into the liquid ingredients. Mix well to combine then package in a 9 oz. jar with a metal lug cap. 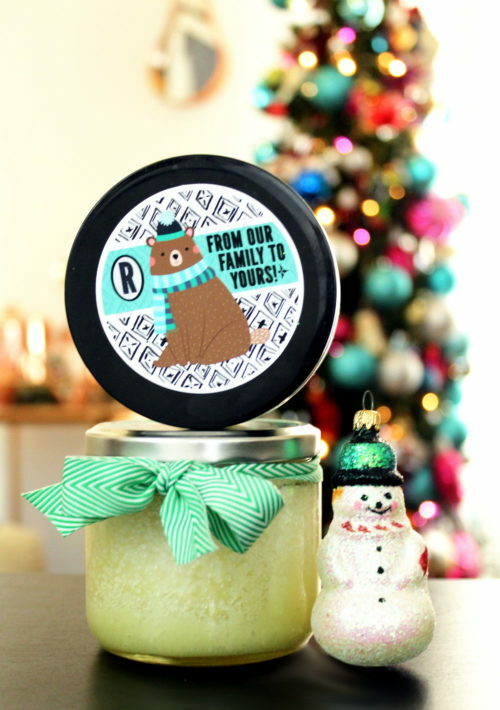 Finish with a personalized 2.75″ label on the lid and a colorful ribbon tied around the neck of the jar. Measure or weigh out the shea butter, Castile liquid soap paste and safflower oil. Combine in a double boiler and heat until melted. Now measure out the peppermint essential oil and stir into the liquid ingredients. Set aside. In a separate container, measure or weigh out the sugar. Combine with the green jojoba beads and mix thoroughly until the beads are incorporated evenly throughout the sugar. Pour the sugar into the liquid sugar scrub base and stir or whisk with a fork until the wet and dry ingredients are thoroughly combined. Then spoon the the sugar scrub into an 8 oz. PET heavy wall plastic jar with a black lid. Finish with your customized 2.75″ sticker on the lid. Fill an empty 250 mL plastic PET bottle (with a white foamer pump) about two thirds of the way full with water. Then fill the remainder of the bottle three fourths of the way full (so there’s room for the foamer pump) with peppermint liquid Castile soap. Screw on the foamer pump, then gently turn the bottle to mix the soap and water. 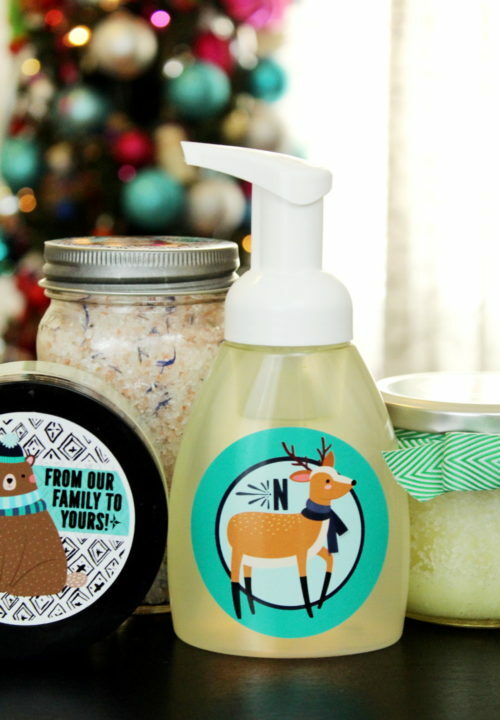 Finish with a 2.75″ round label on the front of your foaming hand soap bottle. 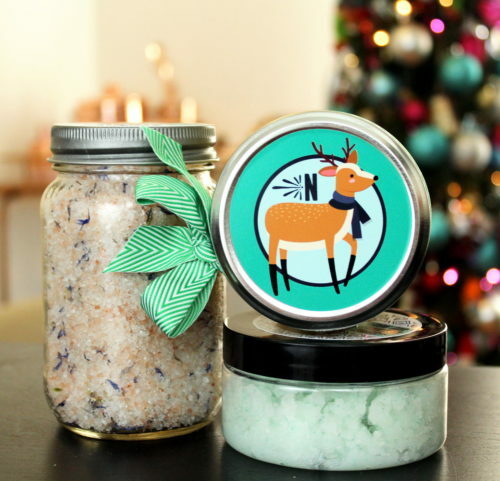 For more ideas for easy homemade holiday gifts, be sure to check out my other recipes for making a whipped body butter soufflé and exfoliating whipped sugar scrub! 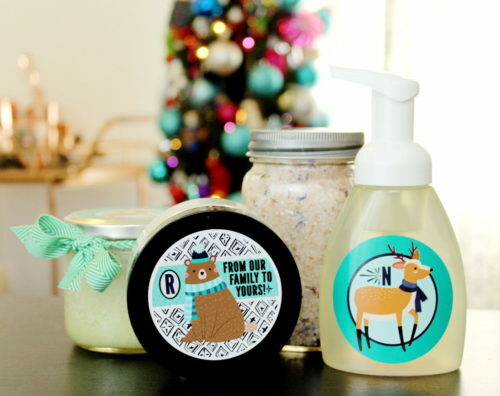 You can find both of these homemade skin care recipes here along with more great ideas for labeling your easy homemade holiday gifts. You can also find and follow me via your favorite social media platforms including Pinterest, G+, Tumblr, Facebook, Twitter, Blog Lovin’, and Instagram. Or subscribe to Soap Deli News via email for future updates, DIY projects and recipes.